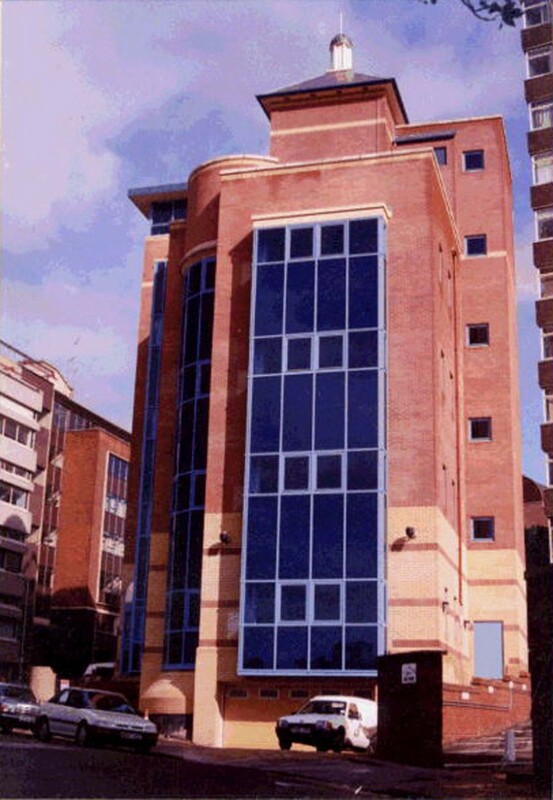 Located in the heart of Croydon’s busy commercial centre this headquarters building for the UK arm of Mondial Assistance who provide insurance, medical and recovery facilities to a number of leading car makers and other organisations. The new building was carefully designed to fit onto a small, sloping corner site on the edge of the Conservation Area. The visual impact of the seven storey building providing 16,000 square feet (1486 square metres)of air-conditioned offices over basement car parking was reduced by breaking the building mass down into two main elements. This also split each office floor into two distinctive areas of differing sizes pivoting around a dominant central tower structure containing the main staircase, lifts and toilets.